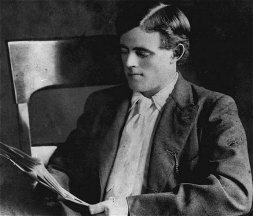 Much of London's writing was based on his firsthand experiences at sea, or in Alaska, in the fields and factories of California, or as a correspondent in Mexico and the Pacific. 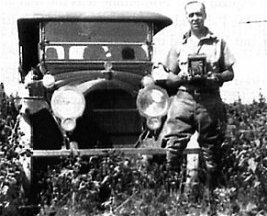 ERB's writing was of a highly imaginative nature, but upon close observation, many of his stories were also strongly influenced by his experiences as a cowboy, miner, cavalry man, policeman, stationery/camera store shopkeeper, rancher, traveller, multi-media businessman, Hollywood producer, WWII journalist, etc. Both authors drew from their real-life adventures for inspiration in their storytelling. A recurring theme was the struggle between man and nature. Both writers kept up voluminous correspondence with fans, friends, relatives and business associates. 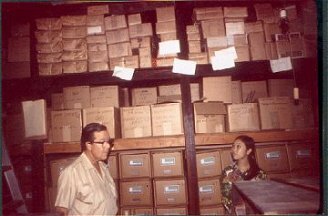 Most of this correspondence has been preserved in university and private archives. 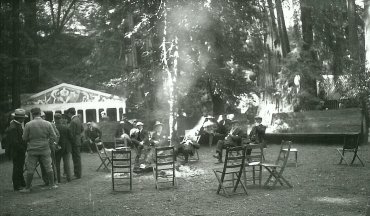 By 1914 London owned "Beauty Ranch" a 1,439-acre property in the Valley of the Moon, at Glen Ellen, Sonora, Northern California. He was passionately interested in developing prize livestock, state-of-the-art barns, soil reclamation projects, modern vineyards and water conservation. 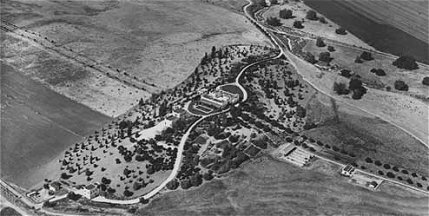 In 1919, Ed purchased Mil Flores ($125,000), the 540-acre country estate of the late General Harrison Gray Otis, founder of the Los Angeles Times. It is located in the San Fernando Valley in the foothills of the Santa Monica Mountains. 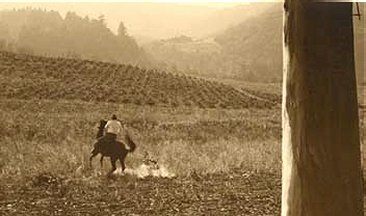 Ed rechristened the estate, Tarzana Ranch and took on the joys and frustrations associated with the role of gentleman farmer. Both writer-farmers specialized in raising Angora goats, Jersey and Guernsey cattle, prize hogs and bulls, expensive saddle horses, and in the growth of exotic trees. 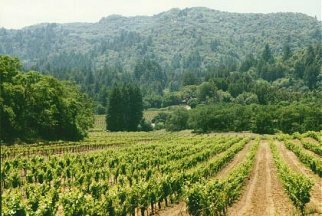 Both ranches were well endowed with tree groves, grain fields, pasture, and natural canyons, hills, springs, and streams -- teeming with wildlife. 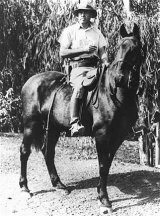 Both men rode horseback throughout the countryside, exploring every isolated canyon, glen and hilltop and they threw themselves into farming using innovative, scientific methods. They loved and respected the land and environment -- true ecologists. 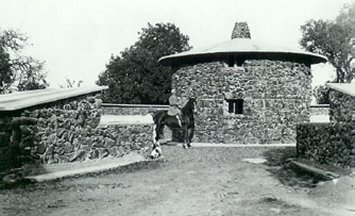 London loved his ranch which he described as "the most beautiful, primitive land to be found in California." His Burning Daylight (1910), Valley of the Moon (1913), and Little Lady of the Big House (1916) reflected the simple pleasures to be found in country life and close ties with nature, as well as the satisfaction of making a living directly and honestly from the land. 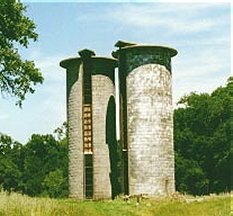 His “Pig Palace” was the showplace of the county and his concrete silos were the first in California. ERB's dream ranch was Tarzana, the Otis estate of 580 acres in Southern California's San Fernando Valley. The property was overlooked by a large Spanish-style mansion. 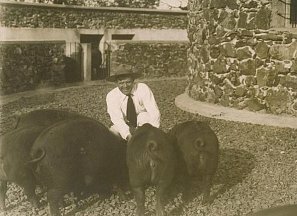 ERB's plan original plan was to develop a farming enterprise similar to London's on which he would raise prize Berkshire hogs. 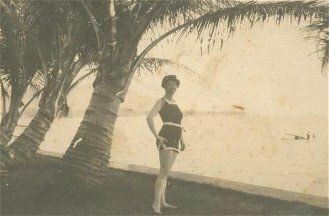 ERB's Tarzana Ranch found its way into some of his novels, such as The Girl from Hollywood (1921), and was featured in many newspaper and magazine articles. 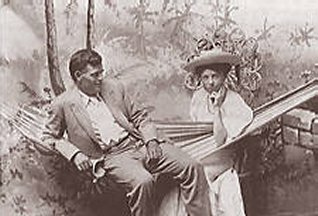 Both often praised the beauty of their ranches in their writing and they studied books on agriculture, natural farming and ecology. London opened a section of his ranch to Bohemians to promote the arts. 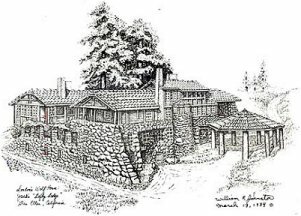 His dream was to build Wolf House and to which he could invite a cross-section of like-minded people, whether they be hoboes, ex-cons, politicians, artists, or fellow writers. ERB subdivided much of his land and created advertising encouraging free thinkers to move to the new development. 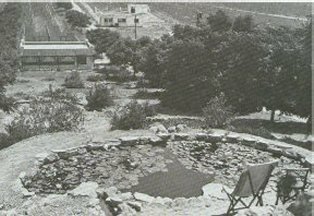 In a promotional booklet he wrote: "I invite you to choose your home-site and become my neighbor, enjoying with me the peace and beauty that is Tarzana. Here you may build the home of our dreams -- and expression of your own individuality, embodying in an artistic whole those practical features which make a home livable as well as beautiful. 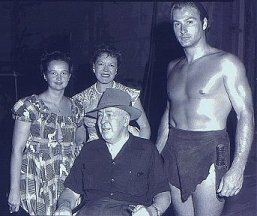 . ." Ed had many friends and film business associates in nearby Hollywood, who were often invited to Tarzana parties. For a time, the entire valley attended regular Friday night dance parties and showings of feature films at Ed's newly constructed theatre/ballroom. 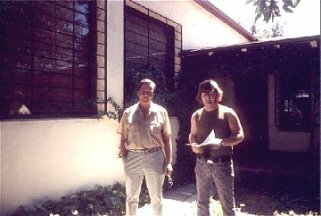 A short-lived dream of both men was to encourage free thinkers and artists to gather on and near their ranches. London's ranch was also the building site for the majestic Wolf House. 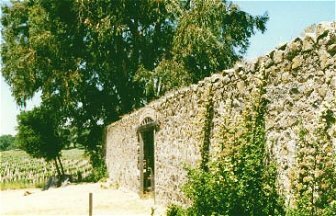 Constructed completely with native redwood trees, locally-quarried boulders, volcanic rock and blue slate, Wolf House took more than two years to build. By August 1913, London had spent approximately $80,000 and his dream house was nearly complete. On August 22, the night before the Londons were to move their custom built furniture and personal belongings into the mansion, the house burned down. Plans to rebuild were eventually thwarted by his death. 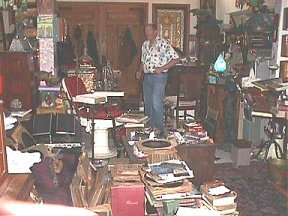 Using a $2,000 advance from Cosmopolitan Magazine, he added a new study to the little cottage in which he had been living since 1911. 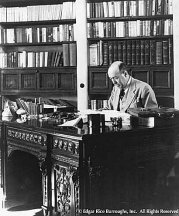 Here, in the middle of his beloved ranch, he continued to turn out the articles, short stories, and novels for which there was an ever-growing international market. 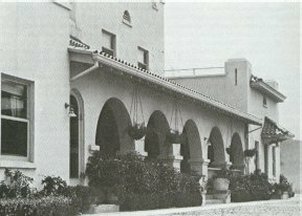 When, in the mid-1920s, ERB realized that Tarzana ranch was driving him deeply into debt, subdivided some of the property and he attempted to convert the land around the main house into the exclusive El Caballero Golf and Country Club. He moved to Los Angeles for a time and then moved back into a modest new home just down the hill from the Tarzana mansion on Mecca. 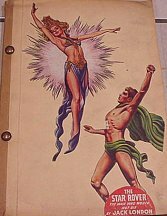 Much of his writing was done in the ERB, Inc. office close by on Ventura Highway. Both writers purchased huge houses and went into mammoth debt supporting many family and hangers on. 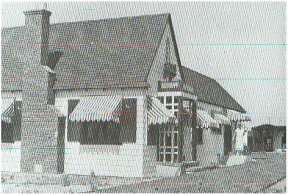 They lost their dream houses: Wolf House burned down and Tarzana was lost to the debt and the economic collapse of 1929. 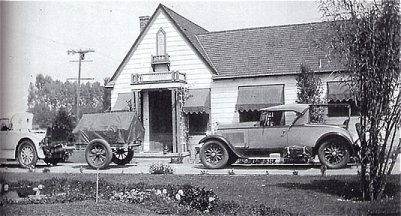 Unable to maintain and the refurbish the Tarzana house, ERB had it torn down in the mid-1930s. 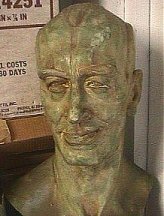 During his two-year voyage in the Pacific London contracted malaria, pellagra, and painful skin abscesses. The resulting discomfort introduced him to morphine, a drug he would depend upon for years to come. In his role as correspondent while covering the Mexican Revolution, he was bedridden with dysentery, fever, colon pains and bloody diarrhea. He returned home in a very weakened condition from which he never really recovered. 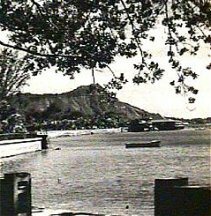 His 1915 visit to Honolulu, meant to be a health trip, did little to improve his condition and he suffered greatly from kidney stones and uremia causing him to rely more on morphine to ease the pain and to achieve sleep. Ed was plagued with heart problems, headaches, and nightmares from early in his life. In mid-life he suffered problems with his urinary tract. His final years were spent battling the effects of heart attacks and Parkinson's disease. Both were plagued with maladies for most of their lives and both had problem bouts with alcohol at various times. 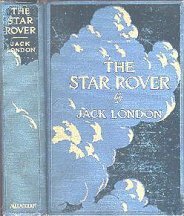 London's last great novel, The Star Rover was based upon the experiences of a Ed Morell, an ex-San Quentin inmate, who told of learning to escape the prison strait jacket and torture cells by "astral projection," in which his spirit left his body and roamed through time and space. 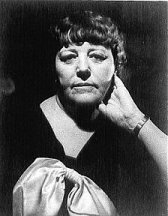 London had been fascinated by Morrell's claims and had invited him to the ranch to tell his story, which he integrated into the novel. 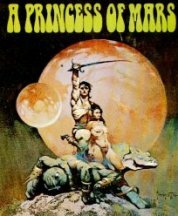 Confederate officer, John Carter, journeyed across space to Barsoom (Mars) by a mysterious force such as astral projection in ERB's first novel: A Princess of Mars written in 1911. Both authors were very interested in the unusual -- a characteristic of every great storyteller. 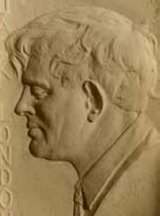 Jack London wasn't really an original thinker but he was a great sponge of what he experienced and saw around him -- physically and intellectually. He was the kind of writer who went to a place and wrote his dreams into it -- who found an idea and spun his psyche around it. ERB was more of a dreamer -- and a remarkable storyteller -- rather than a thinker. But he was more than this. He was an innovative business man who actually built the prototype of a multimedia empire. London spent much of his life at sea in work and play. He also sailed numerous times to the islands of the Pacific where he became an accomplished surfer before the sport was known in the outside world. 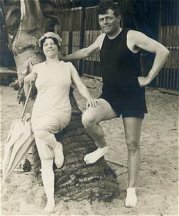 His planned 7-year cruise around the world that he embarked upon in 1907 in The Snark had to be cut short due to shortage of funds and tropical illnesses. After two years Jack spent five years in Australia recovering from yaws and other maladies. 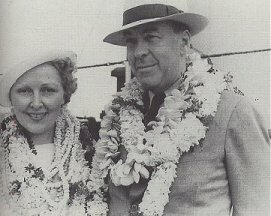 As his health began to fail, Charmian persuaded him to spend periods of time in Hawaii hoping that it would be more conducive to following doctors' orders to take it easier, change his work habits and diet, to lay off alcohol and to get more exercise. 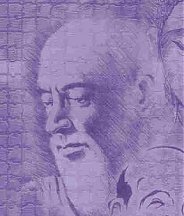 Unfortunately, financial demands of the ranch, his obligation to support his many friends and relatives, and his dreams of even greater success, forced him to work even harder and his health continued to fail in his final years. 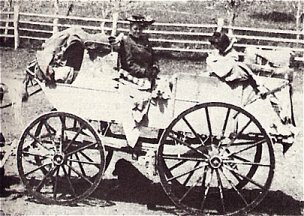 ERB's first love seemed to be overland travel by motor vehicles and on horseback. 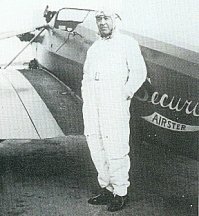 In the mid-1930s he earned his pilot's license. 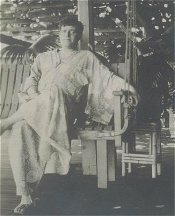 He and his second wife, Florence, honeymooned in Hawaii and returned to the islands in 1940 to live in a rustic beach house. 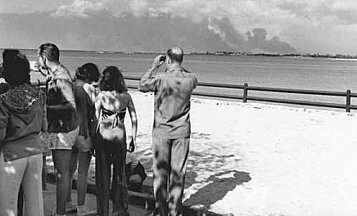 After their breakup, shortly before the Pearl Harbor attack, Florence returned to the mainland, while Ed stayed on to help in the war effort. Both wrote of tropical areas and primitive tribes. Both loved Hawaii, where they took full advantage of the climate and the beaches during the times they lived there. The island lifestyle seemed to keep the creative juices flowing and provide additional fodder for their writing. 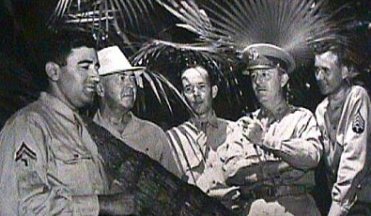 Coincidentally both writers also visited many of the same islands in the South Pacific. Life for London seemed to consist of a continual lust for adventure. He seemed to have to prove to the world -- and himself -- that he was more than just a writer, and he worked hard at developing a more mysterious persona. In 1902 he travelled to England and lived where he posed as a sailor while living in the slums of London. He was aghast at the poverty conditions he saw in the heart of the world's greatest and wealthiest empire. 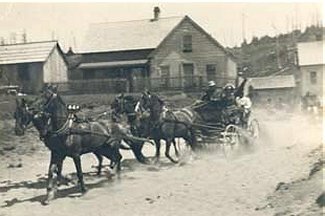 He and Charmian made a horse-drawn wagon trip to Oregon and back in 1911. He voyaged from Baltimore to Seattle via Cape Horn on the four-masted barque Dirigo in 1912. 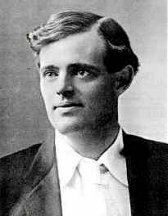 He made numerous train trips across the country and regularly sailed his sloop "Roamer" on San Francisco Bay, along the coast and up the Sacramento River. 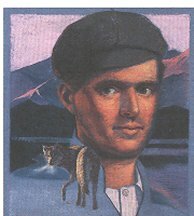 ERB's love of travel and adventure continued did not end with his marriage. He took his family on regular camping trips -- sometimes in expensive land yachts, a type of large towed RV very much ahead of its time. 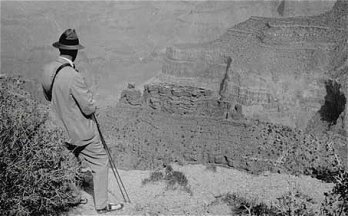 Years after their historic 1916 overland trip to California they often travelled up and down the Pacific coast and inland through the mountains to the Grand Canyon area. 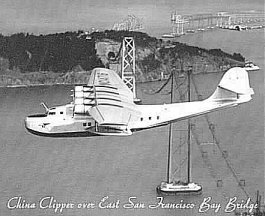 After his second marriage, he and Florence took many trips by ocean liner and the China Clipper, a trans-Pacific flying boat. World War II proved to be the ultimate adventure for Ed who had shown an infatuation for the military since he was a teenager. By this time he was almost 70 years old but he plunged into the war effort with the enthusiasm and energy of a man half his age.